I’m ready for the big one—even if I don’t know when or what that is. Maybe I should explain. A few years ago, I qualified to be a disaster relief worker in California after a number of training classes held over a few weeks. Because of my day job back then, this was compulsory for me, but at the same time, I was interested in taking part. When unusual offers fall in my lap, I want to learn more. The course covered basic fire suppression, first-aid, search and rescue and running a shelter. The classes were taught by firefighters, the Red Cross, rescue workers and nurses. It was a little overwhelming. I feel we only scratched the surface, but at least I have an idea of what to do now. I think most of the people taking the course (me included) had a lot of preconceived notions. These were dispelled very quickly. It ain’t like a Hollywood movie. Nobody runs into burning buildings without a moment’s thought for themselves and others. There is a method—a whole bunch of it. It was surprising how callous the decision-making has to be when it comes to search and rescue and first-aid. Save those who can be saved and do what you can for those who can’t. Save yourself first. These were all tricky pills to swallow. In the simulations, it was surprising how many people forgot that it was all make-believe. People did what they could for their fellow man and ignored the training. It was quite reaffirming to see people react this way, although it wasn’t the right thing to do. I, myself, was blown away by the situation. I forgot some of the key things told to us and what to look for. The situation dictated that we had under one minute to diagnose someone’s condition and react accordingly. With a dozen or so people all screaming at you at once, it’s easy to get swept away. The simulation helped a lot. I’d certainly be stronger next time around. I found I could make a decision about someone and move on to someone else. I just needed to be better at diagnosing someone’s condition. No wonder there was a part on therapy for the rescue worker. Although unlikely, I and others could be faced with some very difficult decisions. There could be a time where the rescuer will have to walk away leaving people behind. Survivor guilt is a big killer. It was surprising to learn how many of the people involved in Timothy McVeigh’s arrest and prosecution committed suicide shortly after. Seeing as my home has been rocked by four small but very noticeable earthquakes over the last three months and there is a prediction of the “big one” in the next eighteen months, I’ve starting viewing things with a worried eye. Should disaster hit, what is my preparedness? It doesn’t look too good. The things recommended seem like overkill—but my preparedness doesn’t even cover the basics. I have to admit the paranoia has hit and I will be putting together an earthquake kit should we be without power, water and TV. A hand crank DVD player is essential. It was been quite a sobering experience. My disaster worker pack sits in a secure location. Regardless of the scenes witnessed in New Orleans, New York, etc., a lot of smart people have put together a well-thought out plan that will save lives and keep the world turning for us. My only hope is that my training never needs to go into practice. 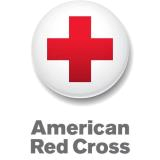 This is why I’m riding and raising money for the American Red Cross this year. If you’d like to sponsor me, go here. A hand crank DVD? Someone makes that?! It’s surprised what wind up devices you can get now….